When you look at a good painting for example, your eyes are guided to the subject of the painting. With bad paintings your eyes will just move around without finding a spot to relax. 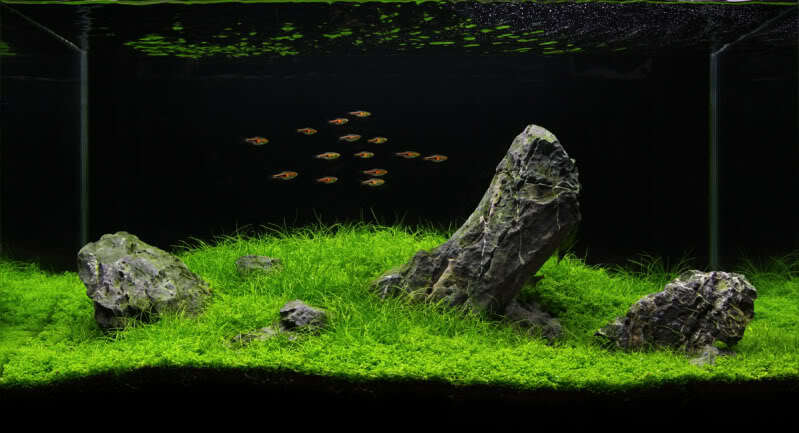 Aquariums are exactly like paintings, and we must decide what the focal point is going to be so that the tank would be pleasurable to look at. The focal point can be anything not moving – a bunch of plants or the ornaments. But keep in mind that when you place your centerpiece, don't let the tank look too symmetrical as it will seem unnatural. So the best thing is to place your focal point a bit off-skewed. Symmetry makes the take look too structured and neat, which is not natural. The central focus should not be in the middle of the tank but slightly off-centre. This would be most pleasing to the eye. The concave setup (the U shape or the V shape). 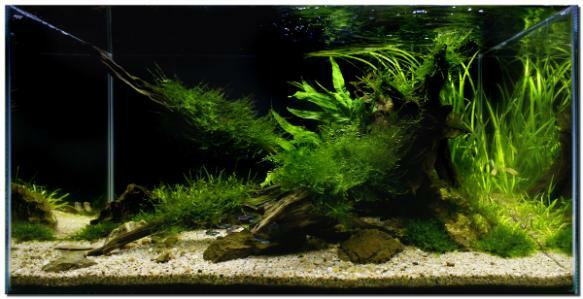 The concavity shape is great, the plants can easily be trimmed to be high on the edges and then lower in the middle making a dip. This will also give you open space in the middle which looks great. The convex shape is aesthetically nice. 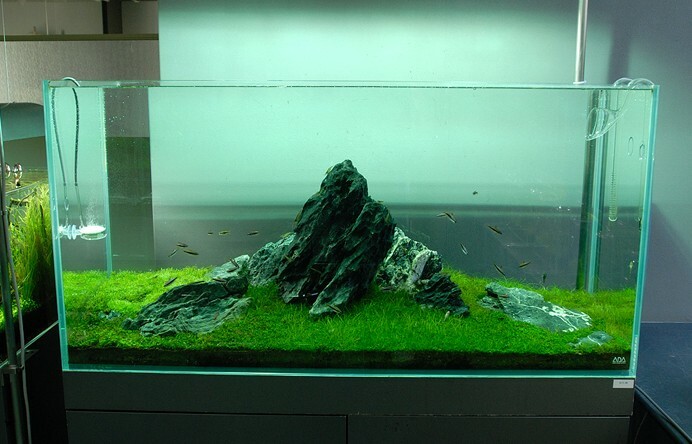 It can be produced with rocks to make a “mountain” looking scape. The triangular setup or sometimes island setup also looks very neat. The off centre gradient is quite attractive. The rectangular setup (high everywhere, plants cover most of the background). Having high plants in the background all the way along is a terrible misconception. People believe maybe the “hedge” type look will be attractive.....not exactly! The best shapes are those that follow a smooth curve. This is a difficult Japanese style which resembles beautiful grass landscapes.